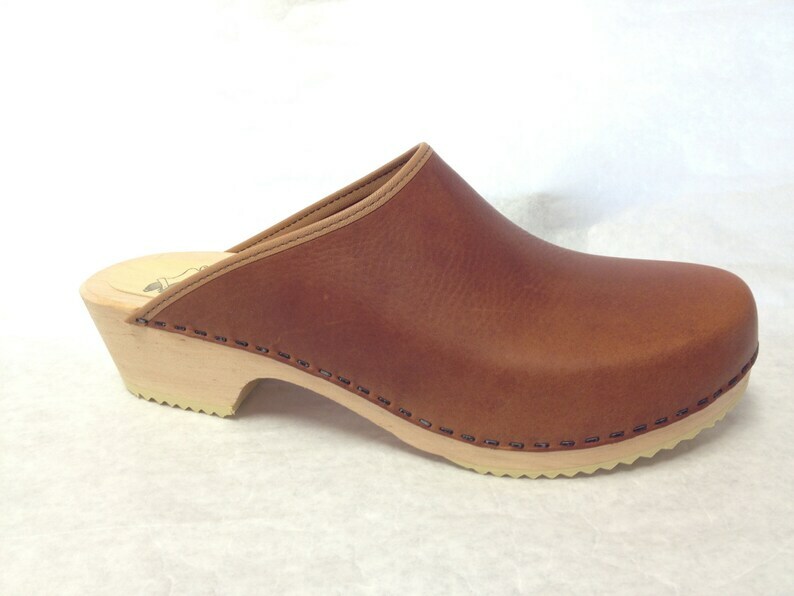 Honey brown oiled leather classic clog. Natural wood Low heel trimmed in a tan binding. can be made with only a stitched collar if preferred. Love the shoes! Thanks so much! Adorable and comfy!!.... this is is my second pair. OUTSTANDING customer service...... much nicer to help a small business than a huge company. These handmade clogs are becoming an addiction!!! !